Had potential but didn’t quite make it. The attempt to show the paradoxical nature of America’s relationship to their soldiers, they want to celebrate their heroism but treat them badly, is a refreshing theme in a Hollywood movie. But it seems a bit too contrived. 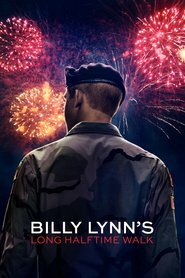 Joe Alwyn is excellent as Billy and the supporting cast is reasonably strong. Kristen Stewart, who plays Billy’s sister, is very good. Steve Martin seems to be trying hard to act well but didn’t come across as very authentic to me. And Vin Diesel didn’t do it for me, either. The story is told with flashbacks and, apart from one or two scenes, don’t have the power necessary to convey the nature of war in Iraq (judging by other movies that seem more realistic). There are also times when the writing seems to trivialise the subject matter. The whole thing seems like an attempt to be really theatrical, but that distracts from the authenticity of the story and performances.